MIRI: The Pujut/Permy response unit of the Miri Residents’ Committee arrested two individuals yesterday suspected of stealing iron railings. According to a source, the committee’s patrol unit received a report from the public regarding two individuals, a man and a woman believed to be husband and wife, seen cutting off iron railings near a drain at the Permy Phase 5 area. 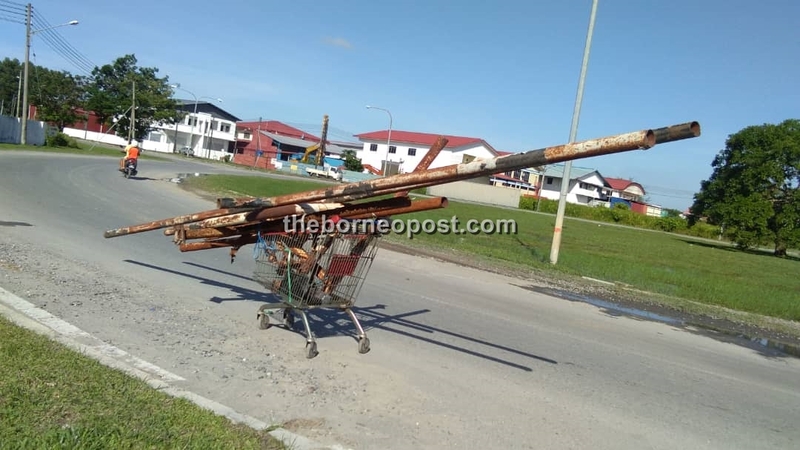 “The Permy patrol unit and MCC (Miri City Council) Serve Team rushed to the scene and detained the suspects near an industrial area in Permy, who were found pushing a trolley filled with piles of iron bars. “They have been arrested and taken to the police station for further action,” said the source. It is learnt that the offence was committed by the couple who were desperate to buy milk for their child, and the husband had just been released from serving a seven-month prison term for theft.